Many fruits and vegetables from your garden can be dried for future use and easy storage. Grapes, peas, and beans can be dried at room temperature. 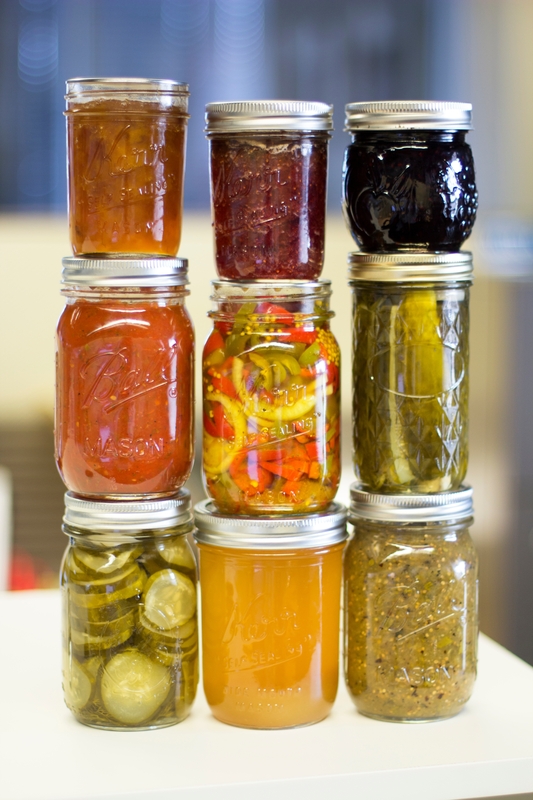 For other foods, you can use a commercial dehydrator or your oven. Times and temperatures vary, depending on the type of food and its thickness. You can look online or go to your local library for specific instructions. Sometimes, your garden will simply produce more food than you can use. Family, friends, and neighbors should always top the list when your garden produces abundance. Local food banks and other charities are nearly always happy to accept donations of fresh fruits and vegetables. Rather than tossing out the fruits of your labor, make the most of your harvest with these simple methods for prolonging your garden's shelf life. This article first appeared in the August 17, 2017 issue of South Valley Magazine. January is the perfect time for pruning most deciduous fruit trees. If you want to stay ahead of the game in the garden, now is a good time to do some, or all, of the things on today's list. Fruit-tree pruning is best done this month and in February. Trim off dead or damaged branches. Open up the tree's canopy by removing crossing branches. After pruning, apply a dormant oil spray to ward off scale, mealy bugs, whiteflies, and mites. Pruning should be completed by the end of February before buds begin to open. Aso see the UC Publication on Fruit Trees: Training and Pruning Deciduous Trees. Don't prune frost damage yet. 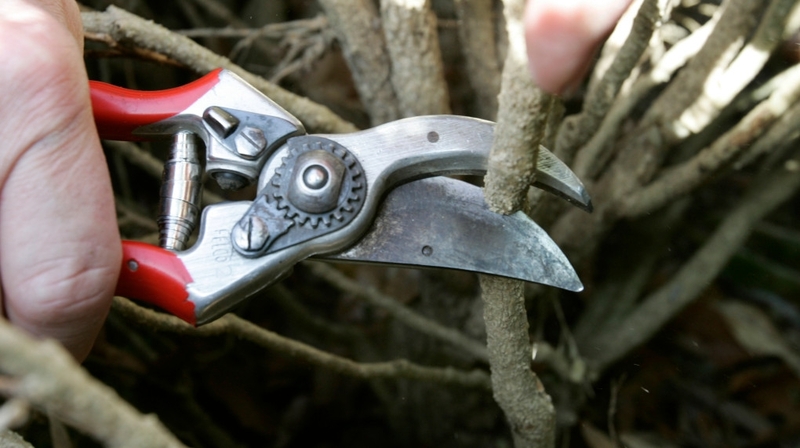 Tender plants may have suffered from our December frosts, but pruning them early can do additional harm. Wait until the chance of frost has passed, probably mid-March, before removing unsightly leaves and branches. Fireproofing the area within 30 feet of your home can mean the difference between saving or losing it in a blaze. Never plant pines, junipers, eucalyptus or greasewood trees within this zone, since they are high in oils and resins, and so extremely flammable. Keep brush and small branches trimmed back from structures. Small plants, no taller than 18 inches, and fire-resistant groundcovers are recommended. See UC's publication on Home Landscaping for Fire for more information. Moss and algae in the lawn is usually caused by neglect. Specifically, it may mean poor drainage, too much water, soil compaction, restriction of airflow, too much thatch or a soil imbalance. Reduce watering, dethatch, aerate to reduce compaction and/or perform a soil test. The pH level should have an acidity range between 6-7. An application of fertilizer will with help eliminate the moss, while algae needs a reduction of fertility. Frost-protect sensitive plants by keeping soil moist and covering plants with a blanket or cloth during the night when there are warnings of a possible freeze. If possible, move outdoor potted plants under eaves, preferably on the east or south side of the house. Move houseplants to a bright, sunny location. Clean foliage by washing sturdy leaves with a moist cloth or rinsing the entire plant under a tepid shower. Dust leaves of succulents with a soft brush. Find a complete list of January Gardening Tips. 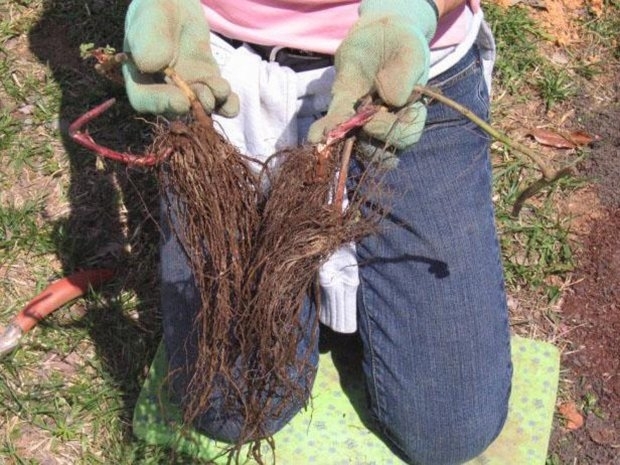 When planting bare-root raspberries, soak the roots in a bucket of water for two hours; dig the hole the same depth and width as the roots when fanned out; cut back the canes of the plant to 6 inches tall. By bare root: artichokes, asparagus, blackberries, grape vines, onions, raspberries, rhubarb, strawberries, roses, fruit trees, perennials. By seed: arugula, Asian greens, bell beans, broccoli, cauliflower, lettuce, peas, salsify, spinach. Find a list of cool-season vegetables that do well in Santa Clara County. This article first appeared in the January 7 print issue of the San Jose Mercury News. Plus: Two native plant tours will show you what's possible in your own yard. Now that the rains have finally subsided and the sun has been making a warm and welcomed return, you won't want to miss one — or several — of the amazing, upcoming garden events that are sure you get your planting juices flowing. Area Master Gardeners have spent the last several months seeding, transplanting and nurturing tens of thousand of vegetables, herbs and flowers. Each variety and been trialed and selected based on its ability to do well in our various microclimates. They also have tasted hundreds of tomatoes and peppers to ensure that each is worthy of a place in your garden. 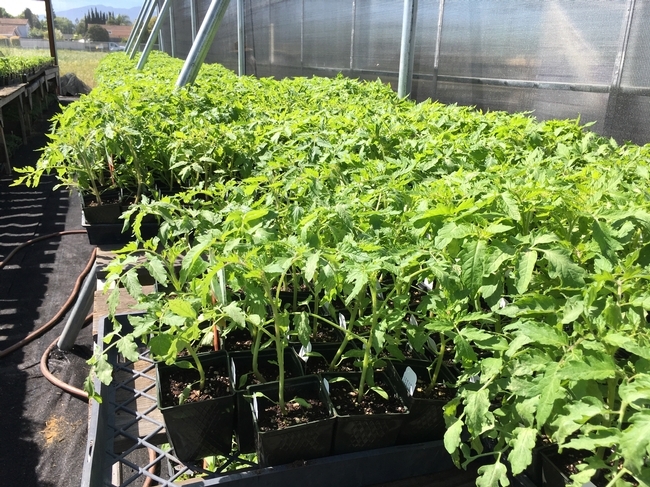 Not only will there be options you can't find anywhere else in the Bay Area, there will also be experts on hand and demonstrations on growing great tomatoes, pest management, sustainable gardening and more. You will find tomatoes in almost every color of the rainbow –purple, green, orange, yellow, white, black, and of course, red. Pepper offerings include bells so sweet you can eat them like candy and super hot ones that might make you put your doctor on speed-dial. 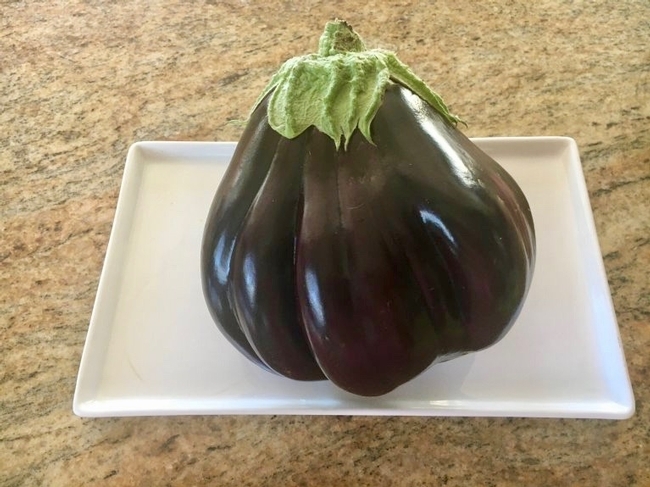 There will be traditional purple eggplant, but how about trying a white or rose-colored one as well? If you aren't adding edible flowers to your salads, you are missing out. The sales will have a variety that will also encourage bees in your garden. Santa Clara Master Gardeners‘ Garden Market is the oldest and largest in the Bay Area. There will be more than 20,000 plants, including 75 varieties of tomatoes and nearly 100 peppers; dozens of sunflowers, herbs and eggplants. Ask about the Romanian Gogosari or the Cullarici, two unique peppers you won't find commercially available anywhere else in the country. If you love succulents, you will be delighted with the array of choices — individual plants, sampler packs and beautiful arrangements, artfully potted in clever containers. 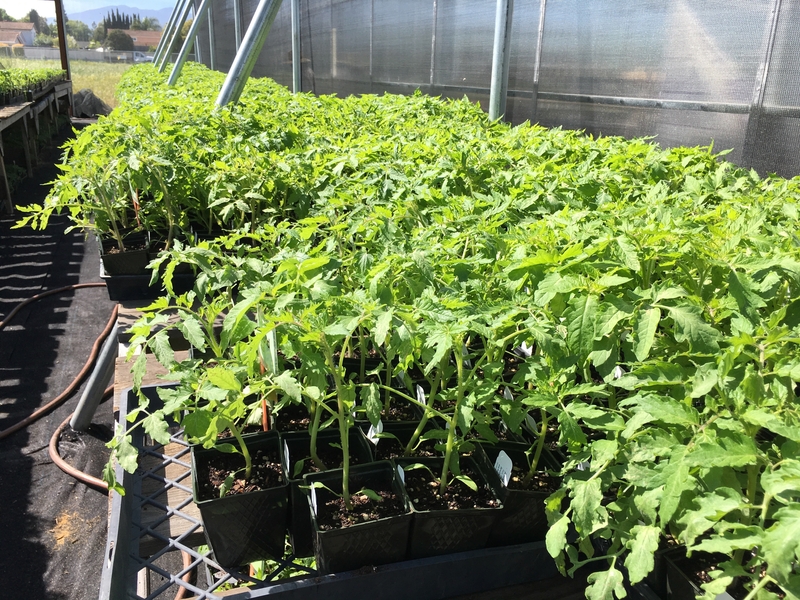 Along with an array of tomatoes, eggplants and peppers, the San Mateo and San Francisco Master Gardeners will be offering strawberries, herbs, microgreens and pumpkins. They will help you select varieties that do well in cooler climates as well as the small spaces of city-gardening. Look for Patio Baby, a miniature eggplant that is perfect for containers, and other varieties developed for smaller gardens. The Contra Costa Master Gardeners really want to get the East Bay gardening. This year they are hosting three markets on different days and locations to make it easy for folks to attend. Beyond the most sought-after options, they will be offering unique selections such as the Pomodoro Canestrino di Lucca, a robust and flavorful roma tomato that produces prolific, deep orange fruit. They are also will have tomatillos as well as peppers, eggplant and herbs. 10 a.m. to 3 p.m. April 1, Our Garden, 2405 Shadelands Drive, Walnut Creek. If vegetable gardens aren't your only interest, check out the Going Native Garden Tour in the South Bay, and the Bringing Back the Natives tour in the East Bay. Now in its 15th year, the Going Native Garden Tour showcases waterwise, low-maintenance plants that are attractive, require little care and encourage and support our native birds, bees and beneficial insects. The tour includes a variety of designs and plant selections at homes in the South Bay and on the Peninsula. For more information and to register on the website. Registration is now open for the Bringing Back the Natives annual plant tour that offers visits to 45, mostly native gardens throughout the East Bay. The tour is designed to let gardeners see how they can incorporate native, low-water plants in there own gardens. The tour is free although there is a $10 fee for a program. Register early. This article first appeared in the March 23 issue of the San Jose Mercury News.